During this year of the State Park Service's 75th anniversary, take time to visit a coastal park and explore the cultural and natural history behind the front-beach experience. From the Grand Strand to Beaufort, South Carolina's coast welcomes millions of visitors each year to the sand, sun and surf - the Carolina beach experience. While they enjoy the pleasures of the sandy strip bordering the Atlantic Ocean, many beach visitors don't realize what outdoor opportunities lie behind the beach front. 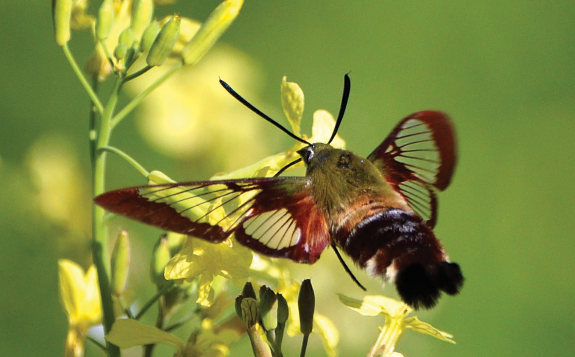 Tucked in behind the dunes, under the canopy of the maritime forest oaks, or in freshwater or brackish lagoons, life behind Palmetto State beaches thrives in the various habitats with an array of wildlife not present on the beach itself. State Park visitors can take advantage of naturalist-led programs designed to reveal a new dimension of sea-fringe life to beach-goers - and a new dimension of fun beyond the obvious sun, sand and surf. Located in Horry County and encompassing only 312 acres, Myrtle Beach State Park is very much an oasis of conservation among the massive development of Myrtle Beach. With one mile of unspoiled front beach complete with a 729-foot fishing pier, and a 137-acre maritime forest, this state park is special because it preserves Horry County's natural oceanside heritage. Programs Director Ann Malys Wilson says, "Looking south and north back toward land from the end of the pier, you can clearly see the borders of the park because it is in stark contrast with the surrounding build-up." This park serves 1.2 million visitors a year and offers 300 RV hook-ups, which is the most for an individual park in the state park system. Wilson adds, "When you come here you'll have a different Myrtle Beach experience than anywhere else along the Grand Strand." 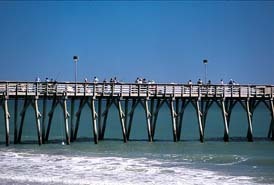 Myrtle Beach State Park offers some fine fishing on its full-service pier that sells bait, rents fishing tackle and allows children eleven years of age or younger to fish for free. The park outreach programs also use the pier to showcase the bounty of saltwater inhabitants found there, including shrimp, crabs, fish and even sea urchins. Myrtle Beach State Park also allows equestrian use of the property from the third Saturday in November until the end of February. This Georgetown County property, consisting of 2,500 acres, is actually owned by Brookgreen Gardens but is under long-term lease to the S.C. State Park Service. This property has a history of preservation dating back to 1930 when Mr. and Mrs. Huntington of New York purchased four plantations for a winter retreat. They took great care to steward the land, and the 3 miles of beach and lush sand dunes that still exist today are a testament to their decision to tread lightly there. Programs Director Mike Walker says, "This Park is really well-known for its birding opportunities, and we have recorded more than 315 species of birds occurring here." A rock jetty sticking out from the coastline attracts some seabirds like Wilson's plover to use it as a nesting ground. Walker explains that they are working with fourth and fifth graders to make and deploy seabird decoys in hopes of attracting more birds. He adds, "The hands-on work we do with kids is real research, not just school work." Walker admits he is an avid beachcomber and says the beach offers a good mix of seashells. He has found enough horse conchs, apple murex and true tulip shells to last a lifetime. 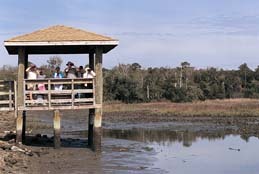 Walker also offers a saltmarsh seining program that is popular with visitors. Whether you are a birdwatcher or beachcomber, or seeking a more thorough knowledge of the beach and surrounding wildlife, this state park offers a naturalist program for you. While visiting be sure to see the National Historic Landmark home, Atalaya (the Spanish word for watchtower), where the Huntingtons lived. Located on a barrier island, Edisto Beach State Park stretches 1,255 acres along the front beach and the maritime forests running along Scotts Creek. 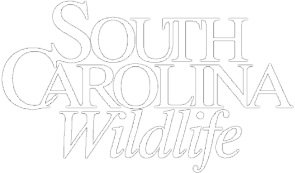 This state park is one of seventeen South Carolina parks created by the Civilian Conservation Corps during the Great Depression as part of President Roosevelt's New Deal plan. The CCC coming to Edisto is still in the realm of "current events" when you consider that this same area was inhabited by Native Americans during the Archaic period. A shell mound found on the property dates back to between 2,500 and 4,000 years ago and is a man-made feature that survives those earliest Indians. Naturalists can rekindle some of their spirits by noticing the Indian buckthorn, a calcium-loving plant that grows on the shell mound. Programs Director Andrea Grabman says, "You take the trail toward the Indian mound through our maritime woods, and in the process you feel like you are going back in time." Speaking of time travel, Edisto Beach State Park is known as the best beach for finding shells and much more because of its steep angle into the ocean, allowing wave action to wash shells up onto the beach. An early colonial settlement at nearby Eddingsville Beach was erased by a hurricane, and beachcombers can find pottery and other artifacts washed up on the sand from time to time. Grabman told me it's not unheard of to find fossils from the Pleistocene Era on this beach, with fragments coming from long-extinct species like mammoths or giant sloths. Grabman also offered that her favorite seashell, and a common find, is the South Carolina state shell - the lettered olive. This park offers two separate campgrounds, 110 RV hook-ups and most important, a chance for people to experience the Colleton-County section of the ACE Basin. This focus area consists of three rivers - the Ashepoo, Combahee and Edisto - and their associated watershed, which is protected from development by conservation action. 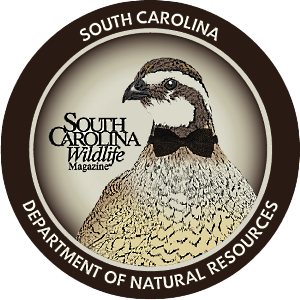 Edisto State Park is also very near the brand new Botany Bay Wildlife Management Area, recently acquired by the S.C. Department of Natural Resources, which offers another front-beach paradise that will be forever preserved through conservation leadership. 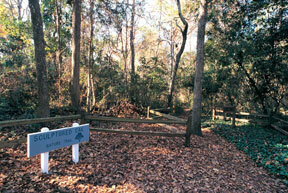 Just as the name states, this park is an entire barrier island composed of 5,000 acres situated in Beaufort County. With marshland hummocks, front beach, tidal creeks and probably the most popular of all the state park rental cabins, Hunting Island State Park also falls into the ACE Basin Focus Area. The park's award-winning "Friends of Hunting Island" volunteer program provides protection for loggerhead turtle nests from the night they are laid until the hatchlings safely emerge and set out for their ocean home. 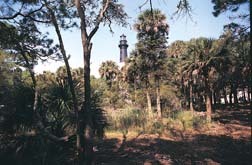 Special features of this park are considerable, starting with the landmark 1873 lighthouse that offers 186 steps for park patrons to ascend and a 1,120-foot fishing pier built in 1982 where fishing rods and crab traps are free for guests. Pets are allowed at this state park, although they must remain leashed, and the park is open for equestrian use during winter months. With 200 RV hook-ups, 8 miles of trails and a 1,300-foot marsh boardwalk, this park allows visitors to find and relish their own special setting in nature. Wendy Pollitzer, the Interpretive Program Manager at Hunting Island State Park, might have been speaking about each of the coastal state parks when she summerized her strong feelings: "The resources found on the beach and in the nearby maritime forest at Hunting Island reflect a natural habitat for Lowcountry wildlife and are minimally disturbed by man. I highly recommend a stroll along the shoreline or a hike on one of our many trails, equally peaceful to the senses. The experience is unforgettable!" 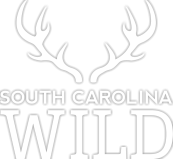 Visit southcarolinaparks.com/ for Hot Deals! Jeff Dennis is a Charleston native and a Lowcountry outdoorsman.